ILEND is an interdisciplinary leadership training program for graduate students with a commitment to providing culturally competent, family-centered, coordinated systems of health care and related services for children with special health care needs and their families. Interdisciplinary training is a cornerstone of the ILEND program and builds awareness, knowledge, and skills in such areas as family-centered care, cultural competence, administration, community services and supports, policy/advocacy, and systems improvement. Faculty and trainees currently represent fourteen disciplines including: audiology, healthcare administration, nursing, nutrition, occupational therapy, pediatric medicine, pediatric dentistry, physical therapy, psychology, social work, speech-language pathology, rehabilitation and mental health counseling, special education, and public health. The ILEND program also includes parents and families of children with special health care needs who are paid as staff and consultants. Trainees and faculty regularly interact across disciplines in their daily clinical work, in weekly seminars, in the community, and in the homes of families who have children with disabilities. ILEND trainees also receive direct supervision and mentoring from the ILEND training director for their discipline in order to foster the development of knowledge and skills related to their respective area of study. These efforts are coordinated with the trainee's home department to ensure the completion of academic requirements. 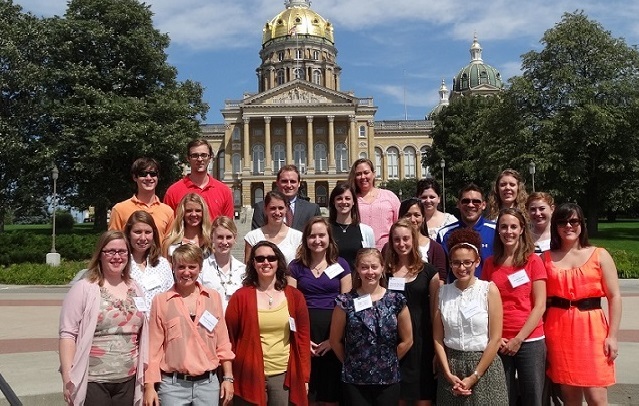 Annual funding is provided for interdisciplinary leadership training to graduate students and postdoctoral fellows pursuing degrees in the following disciplines: audiology, healthcare administration, nursing, nutrition, occupational therapy, pediatric medicine, physical therapy, psychology, social work, speech-language pathology, rehabilitation and mental health counseling, and public health. Trainees receive a stipend and support for additional training activities and travel. Interdisciplinary Leadership Education builds awareness, knowledge, and skills in such areas as leadership, family-centered care, cultural competence, administration, community services and supports, policy, systems improvement, and advocacy. ILEND requires a minimum commitment of 300 hours over one or two semesters, including at least 150 hours of clinical work. Students from under-represented groups are especially encouraged to apply. Discipline-specific training fosters the development of knowledge and skills related to the trainee's academic discipline. At the Center for Disabilities and Development, the trainee receives direct supervision and mentoring from the ILEND training director for their discipline, with additional instruction and feedback from other ILEND faculty and staff. These efforts are coordinated with the trainee's home department to ensure the completion of academic requirements. Trainees receive additional opportunities for observation, participation, and practice in community-based programs and other settings.